If a church falls in Narberth, does it make a sound? The six-month ground war over a Baptist church building in Narberth, Pennsylvania, has reached a ceasefire. But have we all been fighting one war — over zoning — while a far more important one is raging under our noses? The six-month ground war over the former Baptist Church of the Evangel in Narberth, Pennsylvania, has reached a ceasefire. A divided Borough Council and a committee of angry residents has called a truce. But have we all been fighting one war — over zoning — while a far more important one is raging under our noses? Located on Philadelphia’s Main Line, Narberth has become quite trendy. Its quaint, walkable downtown is a throwback to a simpler time, back before Levittowns were all the suburbs offered, and when neighbors knew each other. But Narberth is not immune to national trends. For its first 100 years, Narberth had five churches. Now it has only three. As in much of the country, church attendance is down, and our houses of worship grow empty. What do we do with these vacant, often historic churches? Community responses vary. Marsha Brown, perhaps New Hope’s finest restaurant, was once a church. Now diners enjoy a five-star meal while seated in the former choir loft, eye level with breathtaking (but secularized) stained glass windows. Elsewhere, churches have been converted to unique private homes, pricey condominiums, and funky offices. In Narberth, the former Methodist church and the original Catholic school building are becoming residences. So when our Baptist church lost its congregation, our neighbors wanted residences there as well. What they got was a developer with plans to convert the church to an office/condo combo, with up to 55 employees competing for parking on our crowded streets. Residents rebelled. After public meetings, signature drives, phone calls, letters, votes, and vetoes, the residents have prevailed. For now, no commercial activity will come to our totally residential neighborhood. But here is the next crisis: Will the church, built in 1891, be razed? It is a historic building, older than Narberth itself, and it would be heartbreaking to tear it down. On this, historic preservationists — on both sides of the residential vs. commercial battle — agree. But my heart was broken long ago: when the church ceased being a church. There is a qualitative difference between losing an old church and losing, say, an old paper mill. A church is not just another historic structure with esthetic value. It is a house of worship, a place where communities were built, where immigrants (like my Italian grandparents) were welcomed and assimilated, and where family members attended baptisms and weddings and funerals. It’s important for those interested in historic preservation to look beyond the beauty of an old building to understand the purpose it once served, and the context of that purpose. 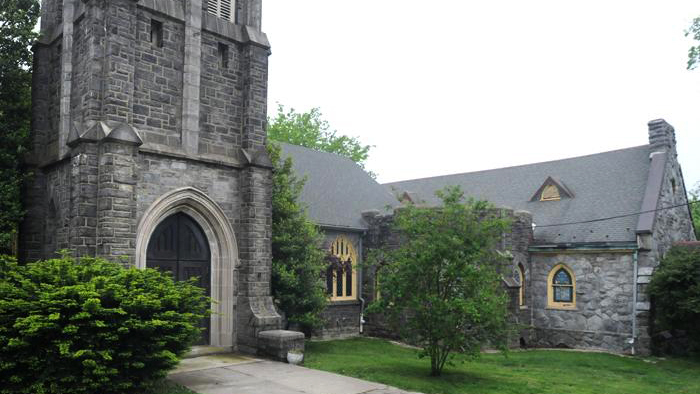 Have Narberth’s preservationists noted, for example, that St. Margaret’s Catholic Church is the only one of Narberth’s five churches not built on a corner property? And why? St. Margaret’s was built around 1900, when America was still heavily influenced by the No Nothing Movement. This anti-immigrant movement saw that most of America’s new immigrants were poor and Catholic, and they feared the growing power of the Catholic Church. So our town’s forefathers refused to sell valuable corner property to Catholics. St. Margaret’s, largely Italian and Irish, reacted the way Italians and Irish largely do: “Don’t get mad, get even.” Our Catholic church went on to become bigger than all of Narberth’s other four churches combined, and remains so to this day. Its school is the last remaining parish Catholic school in all of Lower Merion Township, from City Line Avenue to Villanova. That story, as much as the church’s historic structure, is an important part of St. Margaret’s history, and is itself worthy of preservation. ,Whether Narberth’s old church property becomes a $1 million home or an amusement park with a 30-foot Ferris wheel, an important part of our community is forever gone. In the Middle East, the Taliban and ISIS are killing religious symbols, from the 1,600-year-old Buddhas of Bamiyan, to the 1,400-year-old Christian Syrian monastery, Mar Elian. But in the Western world, the death of religion comes not by murder but by suicide. For, like it or not, the only sure way to preserve a historic church is to join it. The western world is losing interest in what was once humankind’s greatest, most transcendent longing: to experience the Divine. That is a far greater tragedy than the replacement of a historic building with a McMansion and two-car garage.